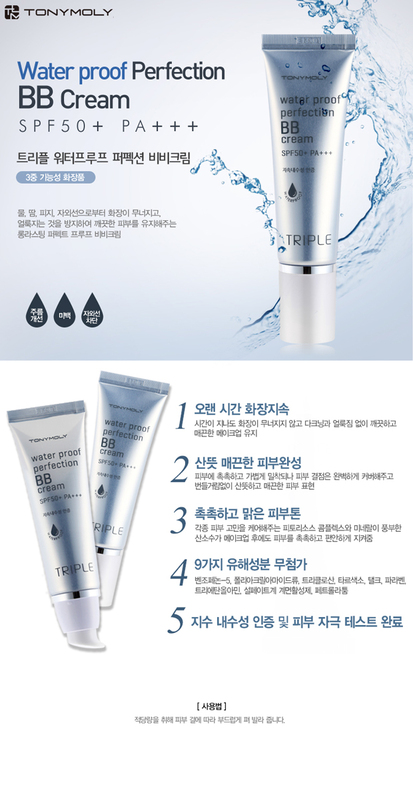 Triple functional perfection BB cream- anti-wrinkle, whitening, UV protection. Fresh and smooth skin condition lasts long with phyto-resource and mineral O2 water. 9 free formula- benzophenone, poly acrylamide, triclosan, tar dye, tarc, paraben, triethanolamine, sulfate surfactant, petroleum. Apply right amount onto skin evenly.